It also guards against gear and clutch wear so enthusiasts can spend more time riding and less performing maintenance. 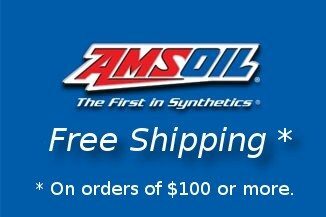 AMSOIL Synthetic Dirt Bike Transmission Fluid is a cost-effective, high-performance alternative to original equipment manufacturer (OEM) fluids. AMSOIL Synthetic Dirt Bike Transmission Fluid's superior friction-durability helps minimize clutch slippage, providing riders consistent clutch feel during takeoffs or when navigating obstacles on the trail. Its lower viscosity delivers more aggressive clutch feel, while its superior performance helps instill in riders the confidence their bikes will perform consistently in all types of riding conditions. The intense environment inside a dirt bike transmission can shear lubricants, leading to viscosity loss. A lubricant that has fallen out of its intended viscosity range can fail to develop a strong fluid film between parts, leading to wear. 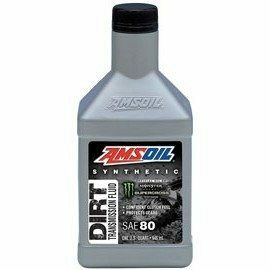 AMSOIL Synthetic Dirt Bike Transmission Fluid's high-quality synthetic base oils withstand viscosity loss due to shear. It delivers excellent wear protection for gears and clutch plates, helping riders get the most out of their bikes. Use in two- and four-stroke dirt bikes that use a separate sump, including those made by Honda*, Yamaha*, Kawasaki*, Suzuki*, Husqvarna* and KTM*. use. 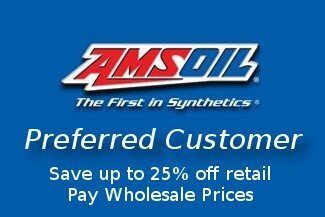 All products advertised here are AMSOIL-engineered for use in the applications shown.